Solar home system (SHS) is helping reduce poverty in remote areas of Bangladesh through income-generating activities, industry people said recently. The number of SHS installation reached 6.8 million in 2018, which provides electricity in the remote areas through off-grid power services. 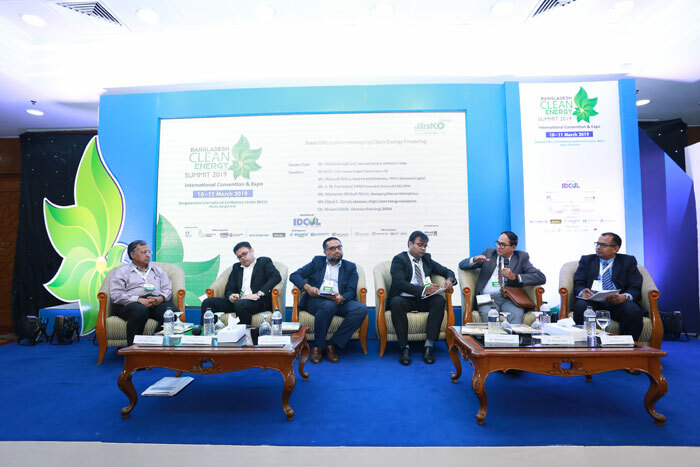 They made the comments on the sidelines of the two-day “Bangladesh Clean Energy Summit 2019” organized by Infrastructure Development Company Limited (IDCOL) at the Bangabandhu International Conference Centre in Dhaka. According to a World Bank study, SHS can have immediate impacts: it enables households to have light after nightfall, makes study easier in the evenings and allows people to watch TV which inspire them to take part in different activities. Furthermore, it can lower the levels of household air pollution through reduced use of kerosene and may even generate extra income by renting charger for mobile phones.